Every website without exception could benefit from a few tweaks here and there. That being said, there will always be certain websites that are dangerously lacking in very important areas. It might be ticking over just fine, but in terms of performing to its full potential, have you looked into which pieces of the puzzle might be missing? 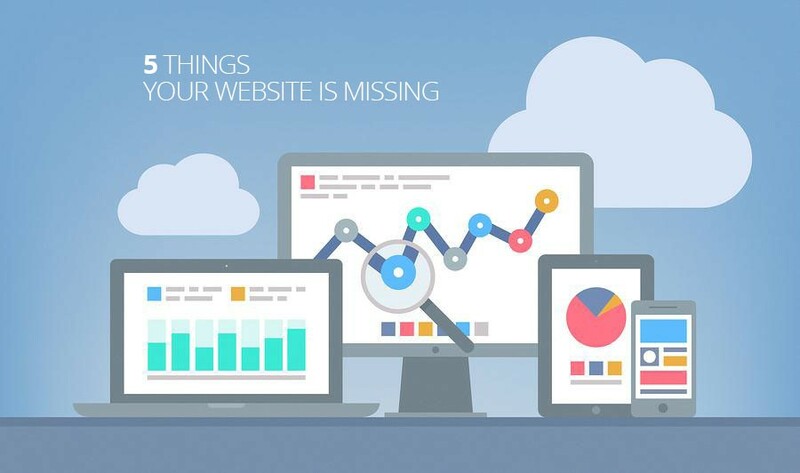 Firstly, have you looked at how well your site is performing in the search engines? Does your site have effective meta descriptions, titles, H1 tags, alt tags? How much work have you done to improve the inbound links to your site? SEO is not about spamming your site with bot-focused garbage, but rather weaving it seamlessly into what you do to improve SERP exposure. Silly as it may sound on the surface, bringing visitors to your website alone just isn’t enough. Instead, you have to tell them what to do next. Or if they know what they want to do, make it as easy as possible for them to do it. This means careful and strategic use of CTAs, which should be tailored to the needs of your audience members accordingly. From size to shape to colours to position to text and so on, every element of your CTAs will make a difference to their effectiveness. These days, reviews and testimonials aren’t just beneficial, they’re mandatory. Quite simply, you cannot expect any new customer to buy you or your product/services without the approval and recommendations of their fellow customers. And just for the record, the answer is yes – consumers can smell a fake or contrived review from a mile away. If they aren’t 100% legit, chances are they’ll do more harm than good…so don’t bother. The content you produce and share will be what separates you from every other brand and business doing something similar to you. Unless you’re the only website in the world that sells or does what you do…which of course you’re not…you need to stand out from the crowd and give your target audience something unique. Something of value. Which in the case of a website comes in the form of content – blogs give you the opportunity to share fresh, relevant and engaging content every single day. Blogs also encourage two-way conversation, which can be pure gold in terms of engagement. Last but not least, the fact that Google is penalising websites with a poor mobile experience pretty much says all that needs to be said. Hundreds of millions of shoppers are now using their mobiles and only their mobiles to access the web. Which means that if you don’t make it as easy as possible for them to access your website and enjoy the experience, they simply won’t bother.